Put your child in the drivers seat of their imagination. Top quality solid rimmed blue swing set steering wheel will put your child in the drivers seat of their own imagination. It will also help children develop their sharing skills as they invite their closest friends in on their journey. Our steering wheels are brightly colored and feature a polyethylene design. Mounting hardware, easy to follow instructions, cover and cap are all included. 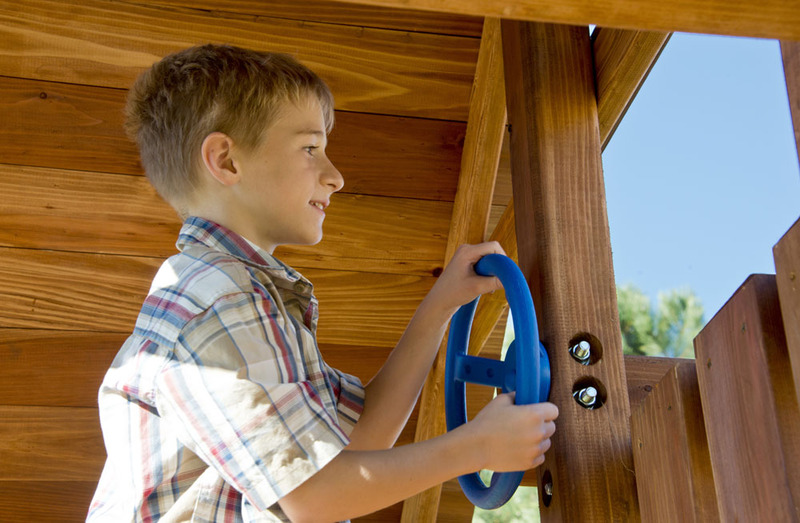 This steering wheel easily attaches to most swing set towers, rails or side walls.